5 Easy Care Perennials for Your Landscapes! Here in the Houston and surrounding areas, we are lucky to have mild winters; so when it comes to choosing the right plants for our garden, it’s our hot and humid summers that should be most carefully considered. Successful landscapes will incorporate plants that are not only beautiful, but can perform through our intense summer heat. We also know that low-maintenance beauty is a top priority for most homeowners. We’ve pulled together a list of five of our favorite low-maintenance yet beautiful landscape plants for Houston area gardens. While this list is by no means comprehensive, it will give you some great options for both sunny and shady spots in your landscape. Daylilies are one of Houston’s toughest yet most beautiful perennials. Daylilies are available in endless shades of color, including yellow, orange, pink, peach, red and white. Some are evergreen or will re-bloom in fall. Daylilies generally have slightly different bloom times categorized as early, mid and late. They are also different heights. By choosing the right mix of daylily varieties, we can achieve several months of bloom color in the spring and early summer. Daylilies prefer full sun but will perform very nicely in part shade. They can be fertilized spring and summer with a complete, balanced, slow release fertilizer, but will not suffer if an application is missed. One of our easiest garden perennials to care for. Purple Coneflower is a tough perennial that blooms heavily in spring, with sporadic repeat blooms through fall. Coneflower is a clumping perennial and can expand from year to year. Coneflower needs a sunny location and good drainage, but beyond that requires minimal care. You can deadhead spent blooms to encourage more flowers; do so and the butterflies will thank you! There are many new hybrid coneflowers available, however you’ll find that the old-fashioned purple coneflower, Echinacea purpurea, is a more reliable long-term performer. 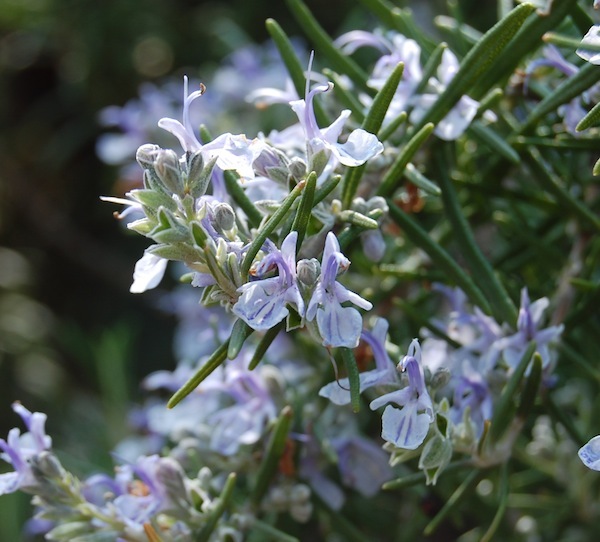 Rosemary is not only a must have culinary herb in the kitchen, but a workhorse in our landscapes. When you’re looking for evergreen easy-care foliage for hot spots in your sunny landscape, rosemary can often be the best solution. Rosemary tolerates areas with a lot of reflected heat, such as easements and driveways; it’s also a good choice for spots that receive minimal irrigation. There are many varieties of rosemary available; most upright varieties grow to approximately five feet tall and wide. Trailing varieties are excellent when planted along retaining walls or in large containers. Plants will produce tiny blue to purple blooms sporadically through the year and are excellent foraging plants for honey bees. Hummingbird Bush definitely delivers on its name: The hummingbirds love it! Butterflies will even feed on the blooms of this striking plant. Hummingbird bush sports bright red blooms almost year-round in Houston landscapes. Plants will love a sunny location with lots of room to spread. They'll put on quite a show when combined with other continual bloomers, such as lantana. In a hard freeze, you many need to cover these plants, but the need is rare. 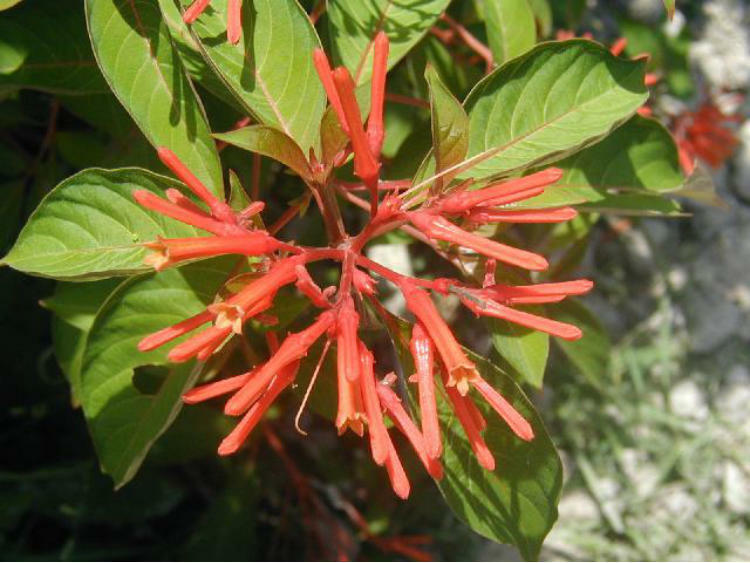 Hummingbird bush is also perfect for planting in containers with other perennials and tropicals. Australian Violet is the perfect low-maintenance blooming solution for shady spots that need a ground cover. It’s especially suited to areas of your landscape in which you don’t do much maintenance. Australian violets are very low-growing and spreading; blooms appear almost year-round in shades of violet and white. While plants spread quickly, it’s easy to keep them out of unwelcome areas due to their shallow root system. There are so many more wonderful low-maintenance perennials for Houston that we’ll be featuring in future posts. Be sure to stop by weekly for new gardening tips! Fall is a great time to plant in the garden, or have new beds installed. If you’re thinking about adding color, refreshing your perennial beds or installing new shrubs and trees, now is a great time to do so. Give us a call! By planting in fall, you’ll give plants more time to put down roots and acclimate to their new location before the onset of next summer’s heat.